Let me say I’ve been fan of Tamar Braxton way before the reality show. Now that is out of the way, what in the world is up with Tamar’s vocals lately? The Tamar Braxton I knew could blow a lot of these want to be Diva’s out of the water. She had the high notes and power but lately she’s been hitting quite a few sour notes. I know I’m not the only person that has heard those sour notes because Tamar’s arch-enemy K. Michelle has also pointed out the rough live vocals. To be honest I haven’t heard one solid performance from Tamar live as of yet. It’s a bit sad that finally Tamar has the hot album but now she can’t sing on key. Her performance on Arsenio Hall was full of grunts and moans sounding as she was constipated. Someone has to tell Tamar, that’s not a good look. Sounds like our girl need to get VocalLessons.com. She says her vocals haven't been on point lately due to the birth of her child. I do know that some female singers say their voice changes when they have a baby. Mariah reportedly is one of those people who have mentioned her voice changing after having Dem Babies. I do know that it can happen. Tamar has always been able to blow, so this does seem like a valid reason as to why her voice hasn't been up to par. Guess we have to stay tuned. Excuses, excuses. During and after Whitney Houston's pregnancy, her vocals were on point. So were Shanice's and she had more than one child. Toni Braxton as well, so I get tired of these bull crap excuses singers come up with to explain their crappy vocals. 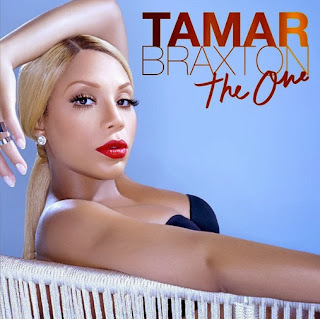 Tamar tears it up in the studio and I love her vocals on the record. But her live performances need help. I was thinking about the pregnancy changing the voice because I know certain time of the month will mess with female singers voices as well. Although, it seems like she was having some vocal issues before she was pregnant like the Gladys Knight tribute.